A torn calf muscle, like any muscle injury, can be serious business and can range from a simple strain that you can “walk off” to a severe muscle “rupture” requiring surgery to repair. These types of strains generally occur as a result of sudden acceleration without properly stretching or “warming up” of the muscle. These injuries can take a person down almost instantly. First you here the “pop” then you think “oh crap!” as you find yourself falling to your face. 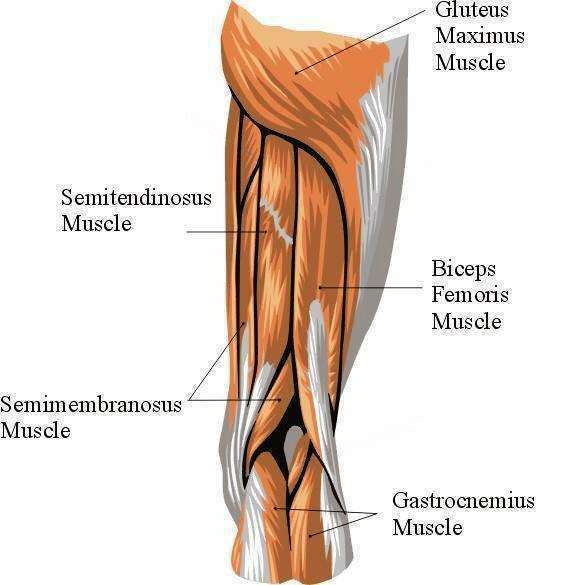 The most common, as well minor, cause of calf muscle pain is a pulled or strained calf muscle. In the most severe cases it may well be a torn calf muscle, sometimes referred to as a “blown” or “blown-out” muscle. This refers to a full rupture! Sudden pain that occurs in the calf muscle during activity may be the result of a pulled or torn calf muscle. This is called a calf strain or a calf pull. 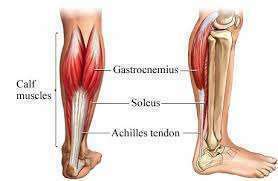 It occurs when one or both of the calf muscles, gastrocnemius (the muscle tissue nearest to the skin surface)or soleus (the calf muscle that is deepest) are “stretched” or “hyper-extended” beyond their ability to withstand the tension. This stretching can result in small micro-tears to the muscle fibers or, in a severe injury, a complete rupture of the muscle fibers. Like any other severe muscle injury, it hurts, takes a long time to heal and can prove to be very costly. To protect yourself from this malady, one should educate themselves on proper warm-up and stretching techniques to prevent such injuries. • Level 1 calf strains are minor. They involve only 10 percent or less of the muscle fiber, typically characterized by slight twinges of pain at the back of the lower leg. You may still be able to walk, play or run on it, and your leg may be tight and achy for 2 to 5 days after the injury. Usually they are not too painful and you can walk it off, which keeps the muscle loose and pliable. • Grade 2 calf tears involve up to 90 percent of the calf muscle fibers. You can identify this level of strain by the sharp pain at the back of the lower leg and causes substantial pain when utilizing the muscle. You’ll probably notice mild to moderate bruising and swelling of the calf muscle. Pain and tightness in the muscle will normally last a week or longer. • Grade 3 calf tears, or full ruptures, involve more than 90 percent of the muscle fibers. This is the “fall on your face” injury. You’ll experience immediate sharp pain in the back of the leg, will not be able to contract the muscle at all and will notice considerable swelling and bruising of the injured muscle. You may even notice the muscles “knotted up” under the skin near the top of the calf. Surgery may be required to repair this level of torn calf muscle. Rest: Get off the injured leg as soon as possible and stay off it to rest the muscle. Ice: Stop any potential internal bleeding by applying cold therapy as soon as possible following injury. Compression: Wrap the injured leg with a compression bandage or slip on a compression sleeve to help keep swelling under control. Elevation: Keep the leg elevated when possible and when you need to be up on the injured leg, insert a heel pad or “lift” in your shoe to help shorten the calf muscle. This will reduce the strain applied to the calm muscle when walking. It’s actually advised to wear lifts in both shoes so to keep the muscles in both legs extending equally. It’s always best to consult a physician or physical therapist of the recommended dosage of over-the-counter anti-inflammatory and/or pain medication, such as ibuprofen or sodium naproxen. This will help reduce swelling during the healing process. If over-the-counter medication doesn’t effectively relieve the pain or swelling, ask your doctor about a prescription for a more potent pain reliever to get you through the early and most painful healing period. Expect follow-up treatment with a physical therapist. This is a severely debilitating injury and the muscle is apt to cause “muscular atrophy”, which is a condition where the muscle starts to deteriorate or harden from lack of use. Once your physician feels that you are ready to start using the calf muscle again he will prescribe physical therapy to counter this condition. This sports medicine therapy usually involves ultrasound treatments, sports massage (deep tissue and shallow tissue) and physical therapy to assist the recovery process. Sometimes hyperbaric therapy will be induced for muscle injury. This is an oxygen rich, atmospheric pressure regulated, treatment used to speed up the process of tissue regeneration. 1. Rest the Muscle. Avoid activities that cause pain. Avoid impact activities or excessive stretching (no running, jumping, or weightlifting). 2. Taping of the Calf. Most therapists recommend taping the calf. This reduces pain and helps protect from further injury. 3. Range of Motion Stretching Exercises. When acute pain is gone, begin mild to moderate stretching of the muscle(s) with passive “range of motion” exercises. Gently pull your foot and toes up with legs as straight as possible to stretch the calf muscle. Hold for 10 seconds and repeat 5 to 10 times. 4. Progressive Calf Stretching Exercises. As you heal, you can begin using a regular routine of stretching and flexing exercises to regain range of motion and prevent future calf injury. Follow the advice of your therapist when beginning these exercises. 5. Use a Foam Roller. Performing gentle self-massage with a foam roller as your calf injury heals can help reduce scar tissue formation and improve blood flow to the area. 6. Progressive Strengthening Exercises. Start with exercise tubing or a band and hook it under your toes and press down gently using light resistance. Point your foot down against resistance and then slowly return to the start position. Do 10 reps, rest and repeat 5 to 10 times. Over time you will progress to the Calf Raise Exercise. 7. Electric pulse therapy. This entails the use of low level electrical pulses that cause the muscle to “jump” or “flex” involuntarily. This is a very typical treatment and does not cause stress induced pain. Remember; the goal of rehab is to return to normal activity as soon as possible without long-term effects. If you terminate your therapy too soon, you risk developing a permanent injury. Also, always keep in mind that everyone recovers at a different rate, therefore your rehab therapy needs to be suited to your injury and the recovery time will vary. Don’t rush it; it will take time to heal completely. • You have no swelling. • You have full range of motion (compared to the uninjured leg). • You can endure jogging without pain or limping. • You can sprint without pain or limping. • You can jump on both legs without pain and you can jump on the injured leg without pain. Muscle Strain. About.com Symptom Checker [http://symptomchecker.about.com/od/Diagnoses/muscle-strain.htm]. Last accessed, June 2010.